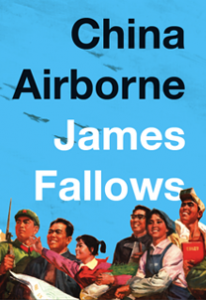 Yesterday I got the chance to chat with Jim Fallows, who I’ve followed at The Atlantic for years and who just came out with both a great article on manufacturing coming back from China to the US and a book, China Airborne, on how China’s development of its aircraft/airline industry provides a lens into the overall passion/craziness/possibility of China’s development. 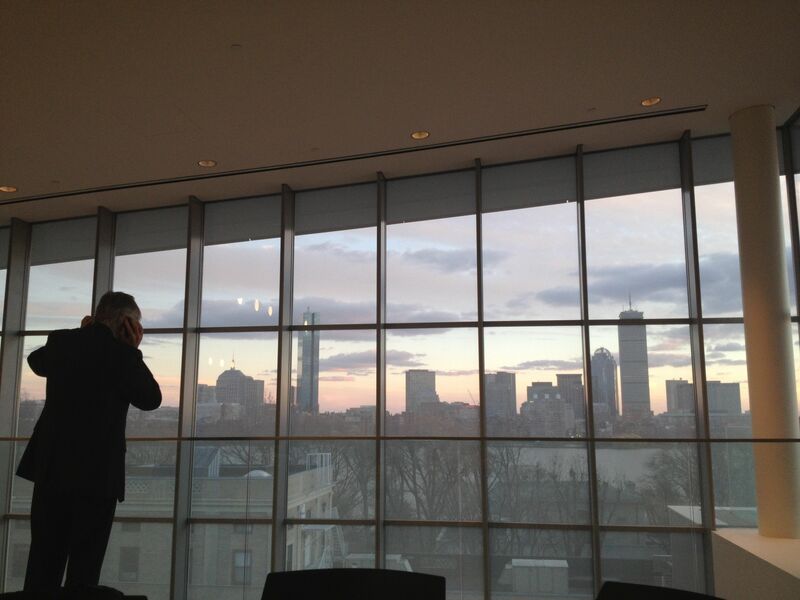 He was giving a talk at MIT’s Center for International Studies in the beautiful new Media Lab building overlooking the Charles River. I was delighted that he agreed to meet with me and my boss to talk about manufacturing, China and Japan a few minutes before his talk. My dad also joined us for the talk. 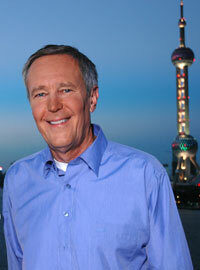 Fallows is a long-time Atlantic writer (and past editor) and has an interest in America’s engagement (cultural and economic) with East Asia that is remarkably apposite for my program at MIT. In the late 80s he spent a few years in Japan, writing two books that challenged the fearful/blindered Western take on Japan and Korea’s rise. This was just at the time that MIT authors wrote the Made in America study on regaining economic and manufacturing advantage (from Japan, implicitly), and when MIT teamed up with major US industrial firms to create Leaders for Manufacturing, as my program was then known. Since then, the US got a bit of its economic/manufacturing mojo back, even continuing its increasing technological edge and productivity through the Great Recession. But then as now, Americans are preoccupied with fears of US eclipse and dominance by an East Asian juggernaut. Fallows’ take on this is grounded in a rich, humane sense of China’s many contradictions, based on his three years living there with his linguist wife Deborah, which built his view of China both as a true rising leader among nations and an assemblage of contradictory and conflicting interests that can’t possibly be viewed as one monolithic threat (or pretender). In his talk at MIT, he mentioned the Gold Rush atmosphere in China today that makes it a once-in-a-lifetime opportunity for journalists to find stories that reflect the country’s rapid change. Enough of the serious talk…what does Jim Fallows really think about the crises of our day, the “think piece” Chevron ads in the Atlantic, and the latest accessories for iPads? I shouldn’t say–I have to save something for my Teen Beat tell-all–but, OK, he is just as genially interested and polymathically broad in his expertise in person as he comes across in his blog. In chatting with him and my boss Don, it was interesting to hear his perception that China did not now, and might not soon, challenge the US with any peer-competitive major companies the way Japan did in the 80s with Mitsubishi, Toyota and Sony. His new piece on manufacturing’s return (somewhat) from China to the US talks about an artisanal maker of iPad cases in San Francisco, DODOcase, and at one point he took out his iPad encased in the bamboo faux-book case to demonstrate something. He had mapped out his talk using a fishbone-style mind map diagram tool, and seeing this elegantly stark digital document within the retro, real materials of the case gave Fallows the sort of cyberpunk wizard aura I remember from early William Gibson characters. All in all, it was a great moment of leveraging my unlikely identify as a spokesperson for MIT’s leading manufacturing graduate programto meet an author I admire and see the interesting parallels in his own engagement with Asia over the past few decades with our own program’s evolution. Next time with beer.